the winter chill leaves her abloom. calling to attention our tired gaze. of the summer in her womb. I used to think that trekking, as far as men were concerned, was either a display of machismo or a fetish for masochism. I could not fathom why people would want to conquer grueling terrains. Unless they were chased by zombies on amphetamines. Of course I could not have known since I had never tried it out at that point. I was probably jealous that I lacked the physical structure to scale anything taller than a medium-sized anthill. Or that, back then, I never had the time to spend outside the four walls of offices and rented homes. 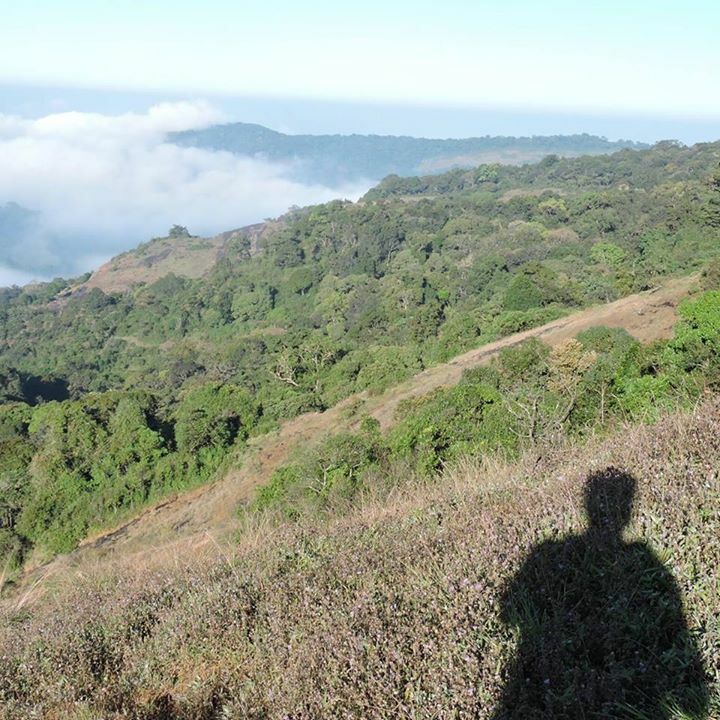 Over the past three years, I have done some trekking in southern India; the longest of which was an 8-hour border walk, with armed forest guards and a French couple, around the Thekkady forest. The most strenuous was a 5-hour uphill climb in Megamalai, with a kind local to ensure that I don’t die in a comical fashion – like I almost did during the Gaur incident in Kodaikanal. I still think there is an inconspicuous element of machismo to men and trekking. I don’t subscribe to this, but I cannot explain the primal scream that escapes my lungs at times. Men can slip into this half-Mowgli half-Tarzan mode without their knowledge. We will ignore pain to appear more experienced and avoid asking for directions because we are men. But the hills, she will always be a tall and benevolent woman to me. Every trek through her parts has been mesmeric, more so the solo ones when it was easier to be in awe of the elements of nature. And celebrate the insignificance of man in relation to the inherent beauty of our planet. Maybe a moment of stillness I shared with a falling leaf. A wild animal or a bird that I locked eyes with, experiencing ecstasy or fear – both of which left a similar taste on my tongue. And the way the hills and mountains unfolded, nakedly and gently. Machismo doesn’t stand a chance against even a blade of grass. Or a cobblestone in a drying stream. It’s not that the maternal side of nature is a vengeful force looking to put us in place. It’s just that things don’t end up well for any species that overplays the cards it has been dealt with in the evolutionary process. In the words of Atticus Finch, “love her but leave her wild”. this is stunning, especially the pics. 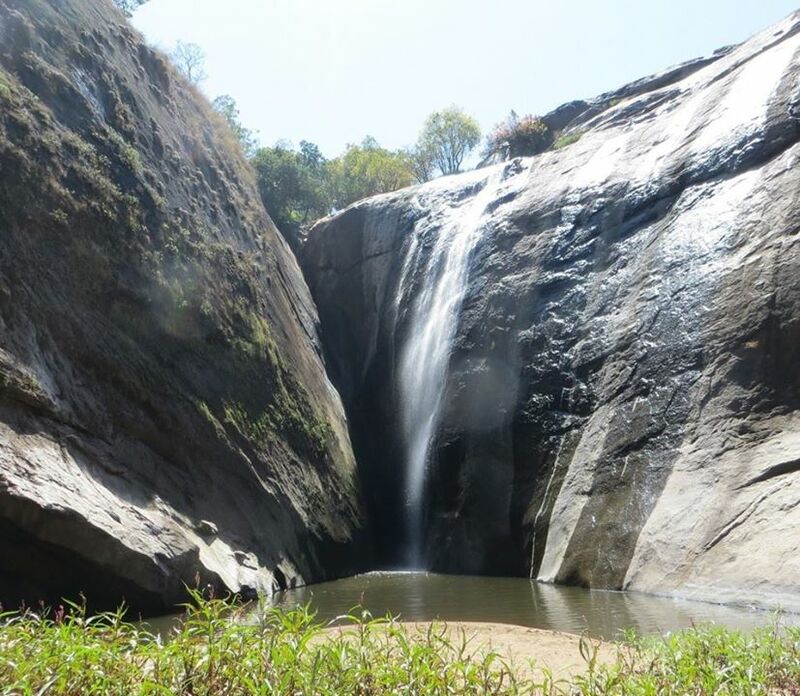 i have been to valparai and i found it breathtaking and refreshing. i like your minimalist style. it conveys a lot without saying too much. such an ethereal abode, it is. and thank you for the kindness, and the beautiful verses on yours. i feel refreshed today! There is nothing I can say that will express how amazing I think this is. Tell me you recited the poem into the wind after writing. which you so diligently choose. Incredible Experience! Amazed at the tacit agony and altruistic love of mother nature is brought forth so daintily. She is unimpeachably a tall and substantial woman. Must say…the poem is ramped up beautifully from head to toe. Thanks for sharing. yavooooza! thanks a ton and a half, comrade 🙂 such lovely things you say in such a lovely way! It’s really beautiful. You should come and visit Dzukoü Valley in Nagaland. thanks. and wow, sounds (and looks) like an ethereal place! Have a look (: More beautiful when touched and felt. Wow , wow , wow , wow for the pics… The hills are alive with the sound of ………..or may be just with the words of a super writer! One of my favorite elements of good writing is the precise use of language that would fit well into a good poem dropped into prose at the right time. You have that skill. Thanks for sharing. I m humbled, thanks comrade. Oh, come now… you don’t really mean to associate trekking with machismo, do you? I have enjoyed every one of my treks… as challenging as they are, the joy of conquering the hill… now matter how big or small, is great… or is it the joy of conquering oneself? Machismo has unfortunately crept up sometimes, comrade. Conditioning is a helluva drug I suppose. As you said it, it has been the joy of conquering oneself. Size never really mattered, but rather the space available for quiet ecstasies. It was never my intention to associate trekking with male gender politics hehehe I merely spoke from my perspective in which, at moments, it felt like a “typical guy thing” when guys were involved. But yeah as you put it, “trekker’s high” sounds a lot more accurate, and it makes me sound less like a douche. Thanks! Thanks bud. Did you spend summers there? Write about that hill, you must! i will be happy if/when will stand in those stunning sceneries, myself (bymyself). 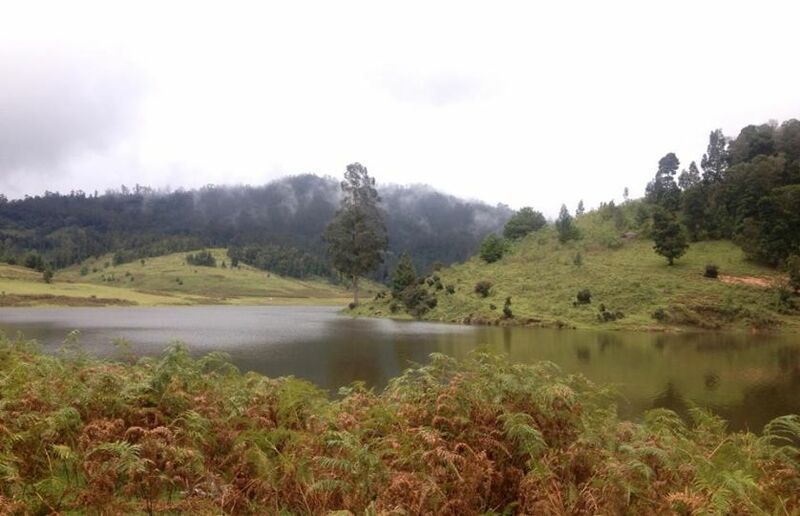 However, this photo taken in Vattakanal, Kodaikanal, really took me to another level. i feel so connected with this one. thank you so much, its like i see myself through this figure..inter-connectivity! thanks ari, these places are magic. i merely pointed and clicked. These pictures are yours originally? They’re beautiful! Beautiful read! Made me nostalgic for those rolling green hills. 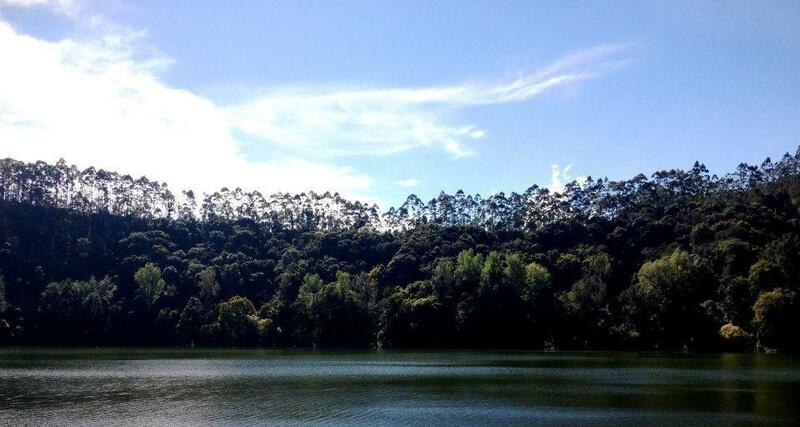 We lived in the Nilgiris for nearly a decade and visited Valaprai often. Woawsie. A decade? That’s amazing. I hope I too put in a decade in the hills. Valparai is a personal favourite of mine since the tourists never seem to leave their rooms, which works out wonderfully for the fauna, and those who fancy them! Thank you, I am glad you liked them! You write really well. Glad I stopped by. Likewise comrade, happy accidents all around! Reblogged this on The Town Square Cafe. It seems you have awoken to the joys of conquering (or joining with depending on your frame of mind) nature! I have to agree with everyone else in saying the pictures were fantastic! Joining sounds more up my alley, John. It’s just certain moments when I knuckle-bump a tree – the mind wanders. I am speechless while I look at your pictures. India is beautiful ! I too go for treks and keep on sharing westesrn ghats beauty. I liked this post. So beautiful that I almost don’t want to leave a comment..
What a lovely thing to say, thank you anu! Kodai keeps surprising me even now! Do visit places like Anjaveedu and Aadukum. Thank you! Sure I will do…I think u r a good writer..was reading ur posts some uniqueness is there all over….keep writing..